I though I will win some informations, if we maybe correct not properly done localities within Cu/Ag belt of mines in Lower Silesia. Simple shape,. simple geology, new simple rules - a new strategy - and after a while I achieved big NOTHING ! Permanently arguing about everything - in the name of personal or emotional problems??? Sorry, a big joke ! I will not spend one single minute of my life on searching old minerals specimens between the peoples that I know, who still have them - only to have pure satisfaction to show them on Mindat, if this all will be in the future as it is now. Conclusion? I propose personal reflections... or as usually, everything is great, the choice is simple ! Edited 1 time(s). Last edit at 04/15/2019 05:32PM by Debbie Woolf. A lot of words, but their sence is hidden deep inside of this pile. No one is forcing you to do anything beyond your capabilities. Personally, I feel comfortable sharing with people photos of samples from my collection and information about the deposits of which I really have information. I am happy to spend minutes of my life for taking pictures and writing captions to these pictures. Everybody is different - maybe my Polish soul with German brain is causing problems? "Ordnung muss sein" my Friend - we are talking about Silesia! As long as we are all civil in our responses.... all is okee-dokee here. Let's not be like a certain prominent political figure in a certain country. We can all learn even from disagreements. 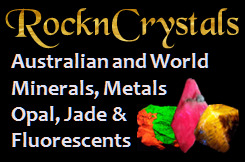 We certainly understand and appreciate your passion for geology and minerals, and your wish to share this with us all. 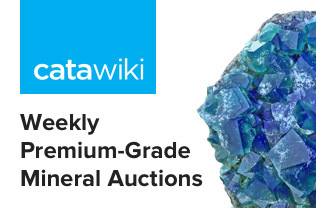 We also understand your pain at sacrificing nice crystals for analysis, and of trying to make changes in Mindat: even Jolyon gets frustrated with so much to do with such a huge database, trying to please everyone with too few people willing to do the hard work. We don’t always understand what you want, maybe some translation issues, and I haven’t read all your posts as I’m a long way from Poland, but it seems you want to restructure things by mineral fields? That can happen if we define non-hierarchical regions, which takes time and knowledge. Meanwhile the best we can do is to ensure we list all the important mineral sites, using our standard administrative divisions, ensuring coordinates, mineral list and descriptions are as complete and accurate as can be. We can sort out appropriate hierarchies and districts later, as good tools are being developed now. > Krzysztof ... it seems you want to restructure things by mineral fields? I saw few times your really great effort to change tense situations in the right direction and I appreciate this more than you can imagine. No - I wanted to learn myself how to deal with areas of mining fields that are crossing administrative borders according to the new rules. But here - before you reach any point in discussion, you can lost all energy in the totaly paranoic argue about so simply things, that words can't describe it ! "During the Mindat Conference in July 2011 we also visited this very intersting mine. Ca. 35 % Celsius underground, wakeup time 3.30 am,... oh god! " villages around = also 2 Mindat localities: Potoczek and Kazmierzow (the second one with out-of-date spelling ). "Beware of false prophets, who come to you in sheep’s clothing, but inwardly they are ravenous wolves. You will know them by their fruits." P.S. Ralph - let's talk about Bashan Quarry, it's much more interesting to me than this all above ! I don't understand what you actually want. There is a lot of complaining but you don't explain what needs to be done. > Can you explain me how is this possible, that since 31 of March 2018 I'm repeating that they are not in Lubin mine but they are still ?? Not in the Lubin mine - I don't understand what you want. > I don't understand what you actually want. There is a lot of complaining but you don't explain what needs to be done. - but should be in the white squere. Aprox. 14km more N-W in the different mine. No doubt Jolyon "does not understand" Polish regions and names.... He's "never" been to Poland, he "hasn't" spent 5132413421352314312245123213 hours improving mindat, he "hasn't" participated in Mindat Conference in Poland, he "is not" cooperating with some Polish folks who (co)organized this conference, he also "hasn't" posted a large post on SW Poland localities. Edited 1 time(s). Last edit at 04/16/2019 10:58PM by Łukasz Kruszewski. Is not better to correct own mistakes instead permanently disturbing?? If we have locations with wrong coordinates can somebody please supply the correct ones plus a reference, without so much rhetoric please? "to see the mote in one’s neighbour’s eye but not the beam in one’s own"
> somebody please supply the correct ones PLUS A REFERENCE, without so much rhetoric please? In the meantime, I have extremely disturbed mindat and ... uploaded few new localities (references and coordinates included). I think we are all feeling a bit disturbed by all this - too many sad realities and too few beautiful words! Edited 1 time(s). Last edit at 04/16/2019 11:18PM by Ralph Bottrill. What are the coordinates for Kazimierzow? What are the coordinates for Potoczek? Should the spelling be "Kaźmierzów"? Hello - sorry, yesterday I was very shortly here so a bit late answer. As it stands this is a junk locality entry. Please don't add them like this. And if you know something about it put it in the description. BUT WHAT IS IT? Is it a mine? a shaft? a dump? You mean this two localities? Probably a results of examination of drilling core . Why it was added to Mindat? I'm not the right person to answer that question - both areas become later part of Sieroszowice mine, so in my opinion could be only mentioned in description. Btw - one co-operative Mindat manager and we will reorganise corectly entire Cu/Ag belt in one week, with new administrative rules etc. Ok. Unless someone comes up with an explanation as to what these two localities are I will delete them. Done. Correct communes & counties now set, minor mineral adds done, locality info updated. Both wrong - this boreholes belongs to the mining fields of Polkowice - Sieroszowice mine, as an integral part of the ore field. Irrelevant. We use administrative division in mindat, not a mining-field division. Polkowice - Sieroszowice is a mining district? Extending over parts of both Polkowice and Lubin counties? If so, then it should added as a non-hierarchical locality. If tomorrow in drill core new kimberlite will be confirm and in the next 3 years in this place diamond mine will be built - "we" add borehole as independent locality and diamond mine as a second one - congratulation ! Well, may Jolyon decide. No doubt he would love to mix administrative division and mining division. Re https://www.mindat.org/loc-156040.html is listed just as Potoczek but was noted to be also called Gaiki as the multiply-drilled prospect lies between these two villages. So maybe it should be listed as a mine/prospect rather than simply a village? Maybe the Potoczek (Gaiki) prospect, under the closest village? With the other isolated borehole it could be classified under the borehole name and village and classified Mine/borehole? Re the mining field, yes this seems to be the main cause of argument here, as we would like to classify all these mineral deposits into mineral fields but we have not created these districts as non-hierarchical areas, so maybe somebody needs to do this first? A bit complicated but all possible to rearange.